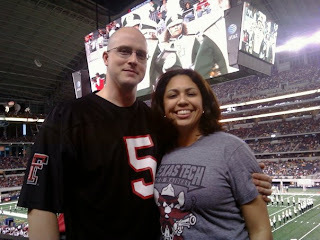 Saturday night, we trekked out to Arlington to the Cowboy's Stadium to watch Texas Tech play Baylor. The final score: Tech 20 - Baylor 13. Defense won this game, let me tell you. Ruffin McNeill is the man! I love his passion and ability to motivate his players to get it done. And get it done they did. 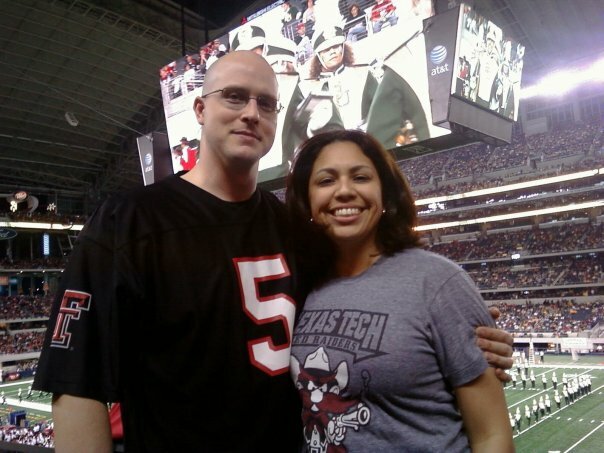 That last Baylor drive had me standing on my feet, Mari perched on my left hip, right arm extended in the air, waving my guns, screaming Raider Power! They stopped 'em and the goosebumps all over my body when they stopped them made that victory all the better. The best thing of all? Don, Mari, Sam, Cristian, Zeni, Mom, Dad, and Danika were all around us. Brother, Missy, Espi, Mikey, Zeke, Xavier, and Rob were all there too! 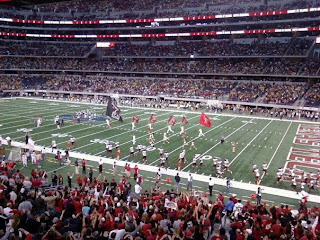 There were tens of thousands of other Red Raider fans in attendance and let me tell you, it was such a wonderful sensation to hear the boom of RAIDER....POWER echo off the walls in Jerryworld. We sat right next to the band, so getting hyped up was incredibly easy. By the end of the night, Danika knew all of the cheers and hand motions. Mari had a nice nap during the 3rd quarter, but woke up during the 4th to see the victory. Even she was waving her guns when she heard the fight song. (Does she hear it much? I think so.) It was so cute to hear her yell, "go, go, go!" This is why I love college football! Man, after January I'm going to have to immerse myself in all kinds of crafty goodness to keep myself occupied. So long Fred's Philly. 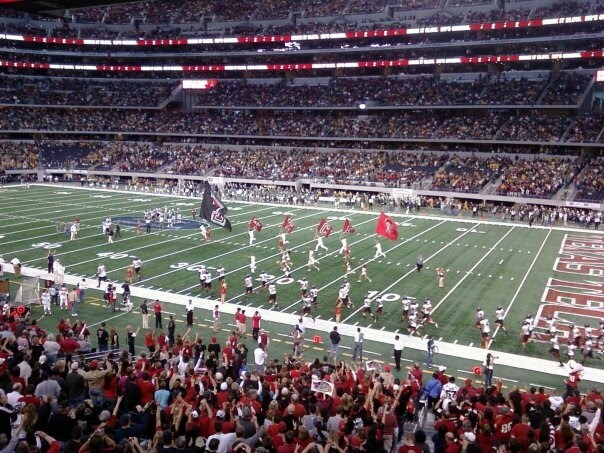 I'll be seeing you again in January for the bowl game and then I'll take a 7 month hiatus until next season.